Hey everyone, Mikey and I know that you’ll never read this, but we still wanted to wish you a happy 4th of July. I know that we haven’t had a review in a couple of days. It’s not because we have given up on the site. Quite the opposite, in fact. We’ve taken some time to get some really cool stuff for the upcoming week. Hopefully, you and yours are gettin’ down on something similar. If not, just swing on by and we’ll cook you up some deliciousness, no questions asked. We really appreciate all the encouragement that you give. You are truly the one’s who keep our appetites hearty and our opinions salty. Coming up this week, you’ll read about one of the best burgers in all of L.A. You’ll also read about a bbq that gives all of their profits back to the community andhappens to make a damn good tri tip sandwich too and finally, Mikey will be in full effect with a brand new Deadliest Catch review and a new addition to our Fast Food Frauds series. Keep comin’ back. It only gets better from here. Happy 4th of July from Brian and Mikey. I would gladly pay $7.99 plus tip for this sandwich. Maybe I’m in the wrong business then. You should come up and eat with us sometime. Then you can give us your final verdict. 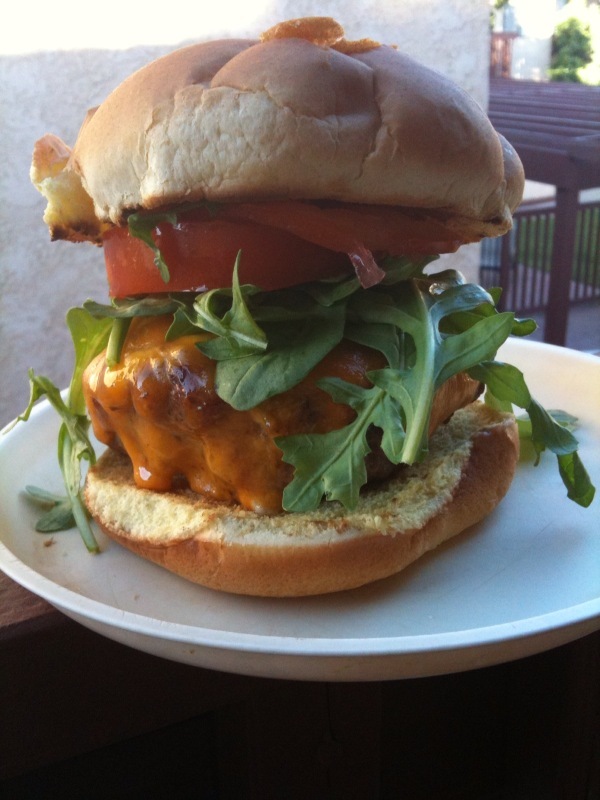 That is one goll darned beautiful burger!! Thanks for the compliment. It was a team effort that got the job done.